Easy to understand and practical, a psychiatrist and an Anglican vicar show us how to diffuse worry by offering practical solutions and long-term hope. Do you find yourself worrying and unable to stop? Does worry consume your days and keep you up at night? Do you know that worry doesn’t help, but you keep worrying anyway? If you are holding this book, it’s likely that you or someone you know has a problem with worry. Within these pages, you will find an understanding of what worry is, why we worry, and how to worry less. This easy-to-read mix of cutting-edge psychology, biblical teaching, personal experience, plentiful anecdotes, and practical exercises will help anxious readers overcome the troubling problem of worry and find new joy in every day. When I (Rob) get up in the morning, I tend to do things that I think will be useful. I have breakfast to give me energy. I brush my teeth to keep them healthy. I put on clothes because others will appreciate it! My point is that we tend to do things we believe will have value. So what is there to worry about? If you ask most worriers, they will tell you that churning away at things doesn’t help, but they think it does—at least at a deeper level. There must be something about worry that we think assists us, which means we do actually value it (like our old pair of comfortable jeans) and believe it is useful to us. And so we are reluctant to discard it. In this chapter, we present worry as a process (or thinking style) with clear patterns and goals. Worry doesn’t just happen. We learn to do it over time, and it tends to operate the same way in different people. It is this that gives us hope, because if we can understand the processes and patterns, then that is the first step to overcoming worry. Worriers can typically trace their worrying back to childhood, and even to their parents or other family members who worried before them, so there is a genetic contribution to worry that is important to understand. Psychologists talk about hardwired aspects of our personality, such as whether we are more introverted or extroverted. These aspects are neutral and not illnesses or problems. It is fine to be either an introvert or an extrovert—or even a mixture of both. All parts of the spectrum come with strengths and weaknesses that are well within the normal range, and are fully compatible with living a fulfilled life. One aspect of personality that psychological testing has repeatedly shown to be part of the normal spectrum is “neuroticism”: a tendency to think about things and to be cautious. This has obvious advantages in life: for example, if you are neurotic, you are less likely to be the first one into a fight. But there is also a downside, in that you may be more reticent about going for a new opportunity. On balance, however, it is seen as a valuable aspect of human personality. Evolutionary biologists would say that neuroticism is genetically “successful,” that it has been helpful enough to have been selected over many generations. People who score highly on neuroticism scales are compassionate, careful, and make good friends. The other stable aspects of this type of personality are extraversion, openness to experience, agreeableness, and conscientiousness. Neuroticism is the part of personality that is least talked about. One common personality questionnaire, the Myers Briggs Type Indicator, doesn’t even mention it.1 Instead, it focuses on the other four dimensions above. So why doesn’t it measure neuroticism? One explanation is that Myers Briggs was in part developed for business use, and businesses generally don’t see the advantages in neuroticism, but love extroverted, open, agreeable, and conscientious workers. The result is that, in our culture, people who tend toward neuroticism are made to feel they are abnormal—even when they are very strong in some respects and well within the normal human range. Jonathan thought deeply about things. He liked to see situations well and truly proven before participating in them. He would often be the last person to adopt a certain fashion or fad, preferring to stick with “classic” styles and tried-and-tested ideas. Other people who were always off to the next big thing frustrated him; he thought there were more important things than the latest iPhone, for example. He placed his focus instead on spending time with people—often people who couldn’t afford the fashions anyway. They felt comfortable with him. He sensed that he was connecting deeply with them. His deep thinking meant that he remembered their birthdays and what they had said the last time they had met. They felt understood, but to him, the constant deep thinking caused him worry. It’s true that people who come with this genetic background—the deep thinkers—are more likely to develop problematic worry. But this is only part of the story. Many people with this personality aspect do not worry, and the personality itself is not a problem—it is normal. So it is possible that instead of being problematic worriers, these people may simply be healthily slightly neurotic! However, given the link between neuroticism and unhelpful worry, if you do have a tendency to think deeply and cautiously, you may start to respond too deeply and too cautiously over time, whereas a less neurotic personality might brush things off more easily or not even give them a thought. A good example of this is if you experience a near miss, such as nearly going into debt, or nearly lose a parent to cancer, and you begin to think too deeply. This can lead to you making extra plans and taking extra precautions in the future to try to make sure something never happens again—and then to do a lot of worrying about whether these plans and precautions are enough, or not . . . or maybe they are . . . but then again . . . Families can also contribute to this excessive thinking. They may live by sayings and mantras such as, “Better safe than sorry” or “You never know.” There is truth in these thoughts, to be sure, but there is also the potential to take them to extremes. There are also families where no one seems to worry, so a child feels he or she has to, or where a future divorce is so likely that there is no stable ground to rest upon. Worry is a normal human emotion, and there are times when it is perfectly right to worry—in fact, it would be odd not to. Jackie is a mother whose son has joined the army and been posted to a war zone. She knows she can’t not care—this is impossible, not to mention immoral, for a mother. But neither does she feel she can allow herself to consider the possible ultimate consequences. If she were, for example, to contemplate her son being blown up, it would probably destroy her, and, at the very least, she would probably have a panic attack. So she ends up having a good old worry instead. If she is honest, her worry has become a comfort. And other moms in similar situations share this worry with her. Worry is her “friend” at the moment. Jackie is not the only example we could give of healthy levels of concern growing to worry. Will and his wife, Louie, nearly lost their second child, Joseph Douglas, during the writing of this book. For seven consecutive weeks, their child was treated in the hospital for a serious breathing problem and a complex MRSA infection. Will described himself during this time as having been “the most genuinely and justifiably worried” he has ever been in his life. Interestingly, he says this felt very different from the sort of worry he normally experienced (and you will hear more about these two types of worry later in the book). Will described the sort of “justifiable” worry he experienced as similar to the anguish of the Prodigal Son’s father who watched every night for his son’s safe return (Luke 15:20). Worry also has a protective function, ensuring, for example, that we prepare for possible threats when in dangerous places or make suitable arrangements for retirement or times of ill health. But worry isn’t necessarily the right word to use here—acute concern is a better way of putting it—because there is definitely a healthy process of thinking that is driven by a fear of something bad happening. And frankly, if we didn’t worry, we’d be dead. However, this level of normal worry can easily turn into something else. It can begin to have a more unhelpful function, and we get stuck in cycles of worry. Someone once said that worry is like a rocking chair—it doesn’t get you anywhere, but at least it gives you something to do. But what is a normal amount of worry, and when does worry become unhelpful or unproductive? This is very hard to determine, especially because it is circumstantial—such as in the case of the mother above. But worry is more common than you think. We set ourselves an impossible and unnecessarily high standard if we think we will get to a level of never worrying. Research studies have found that 40 percent of university students worry at least once a day, but people with GAD worry about 60 percent of the day, so there does seem to be a spectrum ranging from what is “normal” to what will result in illness. The Dutch writer Corrie Ten Boom is reported to have said, “Worry does not rid tomorrow of its sorrows, but it does rob today of its joy.” People tend to struggle on through with worry, never really relaxing and never really panicking, and this prevents them from enjoying the day-to-day joys of life. They live in the future and never delight in the moment, which is a gift of God, a “present” to us in both senses of the word. They also tend to keep their worries to themselves, believing that other people would not want to help them or be bothered. Because they enjoy and share things less, there is a tendency over time to slip into isolation and inactivity. Add to the mix that worriers also give themselves a hard time for worrying, and this makes depression much more likely. Many cases of depression start as an anxiety problem of some kind, and then the mood lowers as negative thoughts and behaviors begin to bite. Worry also tends to get worse and generalize to other areas. Because many worries are about questions that have no easy or possible answers (more of this later), they tend to lead to more and more questions in an attempt to get to the bottom of the problem—except that no bottom exists. This is when worry really starts to turn into GAD and take up increasing amounts of time and energy. All worriers know that, as soon as one worry is sorted out, another will come along and take its place. It’s a bit like cutting the head off a weed—another quickly grows to take its place. So we need to move beyond seeing each worry as an individual problem, and focus instead on the general style of thinking that worriers have. There are different worry themes that, like different vehicles, behave in different ways. Understanding what your worry themes are, and why you have them (and not others), can be the first step in understanding and then not worrying. Worry uses tricks, like a stressed driver using a rat-run to avoid a traffic jam. But rat-runs in rush hours rarely work, as everyone else uses them, too. If we can learn the unhelpful adaptations we have made in response to worry, the tricks we think work, and then change them, this can help us drive through life more smoothly and probably more quickly as well. Worriers have beliefs, such as, “Worrying helped me once and can help me again” or “If I worry about my family, it shows I care.” These beliefs are based on truth to some degree, but are likely to have moved beyond being useful to now supporting and maintaining our worry. Gently breaking these rules can free up things a lot, as we realize our beliefs are not always true. Matthew worries about lots of things, but his main worry is about whether or not he will perform well at work. He wants to get things just right, so that he will be good at his job and please his parents who worked so hard to put him through school. He feels he owes them something, so he spends some time at the start of each day thinking things through. However, what started as a few minutes of problem-spotting has turned into about an hour of making lists, and lists about lists. Whenever he spots a problem and starts to think about it, he spots even more related things that might go wrong. Over time, and by using techniques like those in this book, he has been able to sit back and see that, although he worries about many individual things, in general he worries about making mistakes and so letting his parents down. He also realizes that things go better when he looks at the flow of his thoughts. He makes decisions about topics that need a decision, agrees to limit his lists about things that have no solution, and challenges his over-positive beliefs about the benefits of worrying. Slowly, he develops a tolerance of the uncertainty this brings, as he learns that this is a normal condition and he is not making that big mistake he feared. He also learns that, as he spends less time worrying, he can spend more time enjoying his faith, and so he grows closer to God. He finds that he can please his parents and God without needing to be trapped by having to please them, as they all love him anyway. He still worries—sometimes more than usual—but it doesn’t take up an hour at the start of his day, and he can go with the flow a bit more as the intensity is less. Matt’s reduced worrying didn’t mean things got out of control; it meant that they came under appropriate control. If you have worried for many years, it can seem as though things will never change. However, there are a number of reasons to be hopeful. This book is based on the techniques of cognitive-behavioral therapy (CBT), the approach for severe worry recommended by the latest scientific studies. Also, we authors have been able to change (more about that later), and if we can change, then anyone can! Even more importantly, we have an amazing God who loves us and loves to help us. And finally, we believe in the healing power of prayer and the community of the local church, and would encourage you all to get as much of both of these as possible. The old adage of learning the difference between what you need, what you want, and what you worry about what you need is relevant here. God knows what we need! Telling the difference is something we will teach you later in this book. For now, we just encourage you to be hopeful, to read on, and to enjoy. It’s also been our experience that addressing our worry doesn’t just make us worry less—it can actually make us more mature people, better appraisers of situations and more compassionate friends. Perhaps even in our worry and our dealing with it, God is working for good. To Wrap Up . . .
We have looked at the origins of worry in our personalities and childhoods, and considered how worry has important and useful functions, but when severe, worrying can cause us great pain. We have looked beyond the individual concerns to see the thinking process behind worry as the problem, and reminded ourselves that this really can change. To make a change, you first need to know your starting point. These questions will help you clarify why you are reading this book and what you hope to achieve. At the end of the book we will come back to your three answers to the last question below. 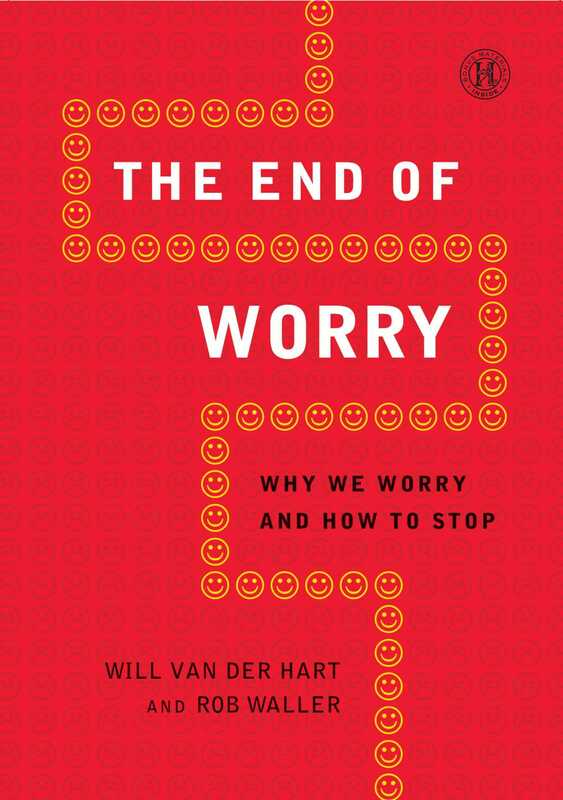 This reading group guide for The End Of Worry: Why We Worry and How to Stop includes an introduction, discussion questions, ideas for enhancing your book club, and a Q&A with author Will van der Hart and Rob Waller. The suggested questions are intended to help your reading group find new and interesting angles and topics for your discussion. We hope that these ideas will enrich your conversation and increase your enjoyment of the book. In The End of Worry: Why We Worry and How to Stop, Will van der Hart and Rob Waller expose the reasons behind our worry, why we love to worry, and how to overcome it. Worry is a process—and as we actually follow through on the process and become comfortable with uncertainty, we can learn to live with a healthy level of worry. No longer do worriers have to struggle to just get over it, trust God, read the Bible more, or have more faith. Will and Rob offer solid, proven techniques to eliminate guilt and embrace risk, and not let worry have the last say. 1. The authors present the typical Christian’s dilemma as between being consumed by worry and ashamed about a lack of faith and trust in God. How does this compare to your experience with worry? Do you feel that faith and trust are the opposite of worry? 2. In the introduction, the authors discuss the Myers-Briggs personality questionnaire. Have you taken the Myers-Briggs? How would you rate your level of neuroticism, and how do you think that affects the other aspects of your Myers-Briggs results? 3. Will talks about being genuinely and justifiably worried as his son battles illness. Have you ever felt this way? How did it differ from your normal experiences of worry? 4. “Worriers need to stay with the threats they perceive long enough to realize they don’t actually pose a risk” (page 34). Have you ever discovered that an object of your worry was actually harmless? How did you discover this, and how did it change your perspective on that thing afterward? 5. The authors discuss “floating worries,” which are different from actionable concerns. What are your typical floating worries? How persistently do you worry about them? 6. Worry affects our bodies, our minds, and how we feel and make others around us feel. Often worriers will avoid situations that cause worry, but Will and Rob recommend facing worries head-on. What would this look like in your life? Is this a principle useful in other areas of life? 7. Worriers also worry about worrying. The authors are clear that compassion in your self-talk is key to avoiding a never-ending cycle of worry even as you work through the process of conquering your worry. How does it feel to try to bring compassion into your self-talk? What feelings and emotions do you end up confronting when you try to accept yourself without judgment? 8. The authors talk about the “magical thinking” of worrying—the idea that parents worrying about their bike-riding child can somehow, through worrying, prevent an accident. How have you found those kinds of magical thinking in your own life? Is there any validity to the idea that our thoughts can change reality? 9. How does your worry change the people around you? How have you found your worry affecting your family, friends, the people you love? 10. Will talks about riding roller coasters solely for how it represents his conquering worry. Do you resonate with his phrase “I feel afraid— yes! Bring it on”? What are activities you could do that would give you the opportunity to feel afraid and yet soldier on in spite of that fear? 11. The authors talk about superstitious actions such as creating tests for God (like Gideon’s fleece) or using Bible verses as fortune-telling devices. Have you ever tried any of those techniques to alleviate your worry? Did they work? Why do you think they did or did not? 12. “The paradox of any search for certainty is that it invariably creates the opposite sentiment: doubt!” (page 111). Have you found this to be true? Why do you think that is? Is there certainty to be found in anything? 13. “Indeed, we follow a Savior whose journey led to the cross and crucifixion, so it would seem odd for us to wish for a stress-free life” (page 175). What does this mean for you? Are Christians able to live stress-free? 14. Present contemplation is one of the techniques the authors recommend as a spiritual practice for overcoming worry. Try this and then reflect on the experience. How did you feel during the contemplative practice? How could this practice help you in your journey toward healing? 15. After reading this book, do you feel prepared to commit to the hard work of healing from excessive worry? What steps do you think will be the easiest? The hardest? 1. Share the answers from your exercises with the group. Talk about which ones you found easy and which were more difficult. Discuss your experiences: are you comfortable with overcoming worry, and where do you need the most help? 2. Exercise: Play a game where each person writes down an everyday activity on a note card. For example, “Drive the car to the mall and go shopping.” Pass the cards to your left. On the card you receive write down one possible disaster that could take place. For example, “Crash the car” or “Get mugged” or “Nothing at the mall fits me.” Pass the card to your left again and on the next card you receive write down a new disaster—make sure it’s worse than the ones that came before it. When your card gets back around to you, read the worst-case scenarios on the cards and discuss how likely they are. Plan an activity that would challenge the anxieties of your group. Be smart, though: going on a roller coaster, riding the subway—good ideas. Jumping off of a roller coaster or licking a subway bathroom floor—bad ideas. How did you two find each other in order to write a book together? Rob and I first met at the University of Cambridge, where Rob was reading medicine and I was reading theology and education. We had remained friends but reconnected professionally in 2006 at The Boat Race, where we discussed our shared passion for Christian spirituality and mental health. We have been working and writing together as Mind and Soul (www.mindandsoul.info) ever since. Worry is a difficult subject for churches. How can the church community as a whole encourage and empower worriers to be more open about their struggles without fear of pat answers or platitudes? How do you see churches actually contributing to the anxiety of their members? We think it is essential that churches be more open to listening to human struggle across the board, not just in the area of worry. If church culture is closed and judgmental, people tend to keep up pretenses and a lot of dysfunction remains hidden just below the surface. If, however, churches are places where people feel safe to express their true hurts, fears, and anxieties, there is real hope for healing and restoration. In the worst cases, churches can compound the anxieties of their members by making human emotions tantamount to sin. Stigma can be rife. The reality, however, is that Jesus was the most emotionally complete person ever to live, expressing the full range of feelings. In your experience with people who worry, what is the most difficult part of overcoming worry? In our opinion it is twofold. First, it is the “overestimation of threat” aspect. This leaves people convinced that their worries are more realistic than they really are. Second is the “intolerance of uncertainty” aspect, as this sends people on an eternal search for an assurance that can never be found. Once these two problems have been overcome (or at least defined and explained as uncertain and unsolvable with the usual problem-solving techniques), recovery comes much more easily. How do the worries of the Western world compare with the worries in other parts of the world? Have you worked with anyone outside the American context? Will: I have worked in Africa, where there are very real threats that we don’t face in Europe or America, such as cholera or malaria. You may think that these threats would make African people more worried than us, or that we should worry less and be thankful for our lot. However, people are typically people and everyone in both the developing world and the Western world suffers from worry. People’s themes may differ but their emotions are a universal human component! When surfing in Australia as an Englishman I was amazed at how relaxed the Australians were about sharks. I was terrified! Having surfed with Australians in England I am amazed about how worried they are about the cold. I don’t care! The key thing is that the worry is out of proportion to the threat and has an impact on how the person is living. Are there philosophies and religions that have a better handle on worry? We honestly think that Jesus’s teaching in Matthew 6 is the best and most liberating teaching on worry in the history of the world. We just wish that Christian pastors and teachers were better at explaining it in the way that Jesus intended it! We have devoted part of the book to this. We recommend some things that are nonreligious (such as techniques to get a good night’s sleep), some things that most religions and philosophies share (like the ideas of contemplation and being mindful), and some things that are unique to Christianity (the role of prayer, a focus on a compassionate Jesus, and a hope of better things to come). Christians seem especially prone to judging and guilt. Why do you think this is? Well, that is a question we hoped you would ask, since it is the subject of our forthcoming book on the problem of guilt, which we hope will also be available through Simon & Schuster! Will, tell us about the London bombings—how are they still affecting you, your family, your congregation? The London bombings had a really big impact upon my life, and obviously that strongly affected my wife, Louie. I have moved out of central London now, but I know my old church still carries the emotion impact of that difficult time. Obviously, compared with 9/11 the London bombings were a relatively small event, but any trauma of that kind, particularly because it was caused deliberately, has a very powerful impact upon you and your community. I travel on the tube (subway) every week and I still get nervous sometimes, especially if there is someone in my carriage with a lot of luggage. Even though I was not on one of the trains, these things live on in the imagination and can be powerful in triggering episodes of worry. Are there any stories of worriers that you had to cut from the book? It’s always nice to hear about people with worse problems than you. We have aimed this book at people who struggle with worry but do not need professional help. It is based on cognitive therapy principles, but some people will need actual therapy from a trained cognitive behaviour therapist. 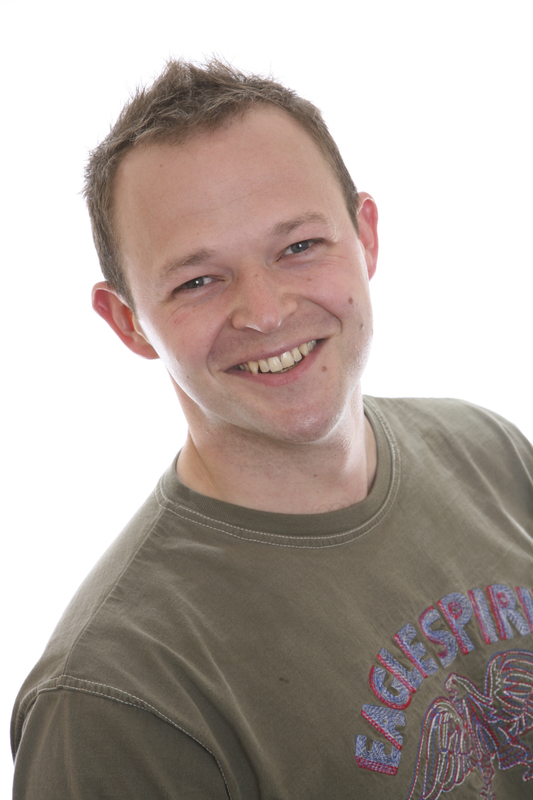 Rob: In my work, I have met people whose worry has caused them to lose weight and all their friends, or whose worries about future events such as the afterlife and sins they might have committed have left them severely affected by obsessive-compulsive disorder and also limited their ability to enjoy their faith. Will, you’ve talked on your blog about “growing down” when it comes to relating to people with mental health issues. Is this a concept that is applicable in many areas of life? If there is one virtue that Jesus demonstrates more than any other, it is humility. He was the Humble King. Society today is so consumed with getting ahead by judging and boxing others that humility has become countercultural. The concept of growing down came from watching my kids. I saw how accepting and open they were toward people. I guess that if modern-day “growing up” means becoming judgmental and ambitious at someone else’s expense, we need to think about growing the other way! 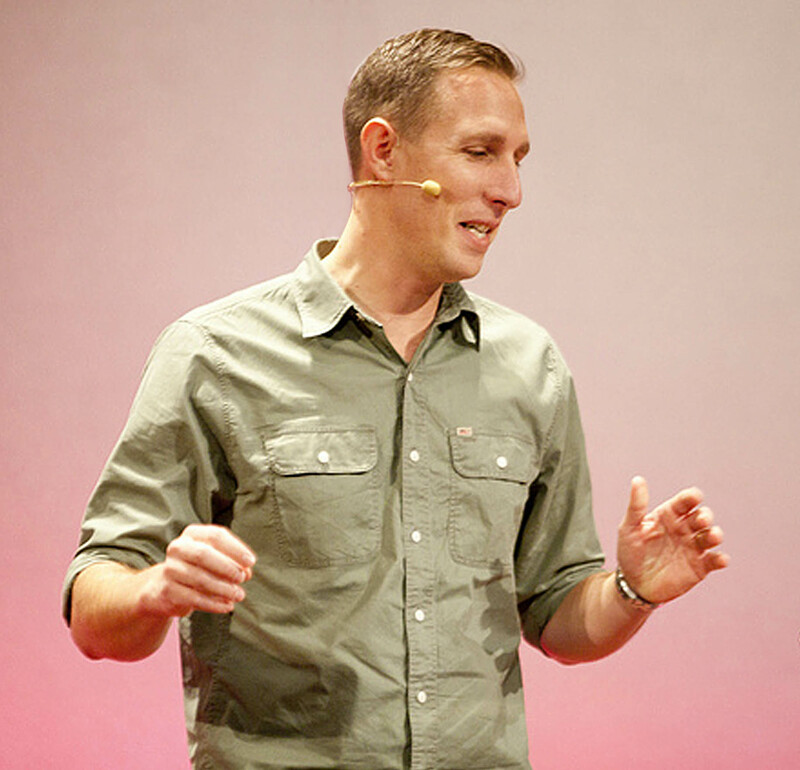 Reverend Will van der Hart is an Anglican vicar in London and founding director of Mind and Soul, an organization that is a Christian interface to emotional and mental health issues. Dr. Rob Waller is a consultant psychiatrist working for the National Health Service in Scotland and an Honorary Senior Clinical Lecturer at the University of Edinburgh. Rob partners with Will in the Mind and Soul organization. Does the New Year Fill You with Uncertainty and Fear? "Jesus didn't say, 'There's nothing to worry about,' but 'Don't worry, in spite of everything there is to worry about.' Will van der Hart and Rob Waller tackle this key issue in many people's lives." "One of the hardest verses in the Bible is ‘Do not worry,’ and I was therefore intrigued by The End of Worry. Well, I couldn't put it down! It is honest, humorous, and holistic. I was re-educated and I am already seeing the benefits." "A very thoughtful, balanced and practical approach to the reality of anxiety. The authors have authority to write on worry, not only because they know the subject very well, but especially because they have a passion to help others with the same spirit as the Great Physician: reaching the whole person and not only their emotions. The End of Worry goes far beyond the practical help of a mere self-help book; it is a therapeutic tool that is solidly founded on the Scriptures." "This for me is a brilliant example of exactly what a good self-help book should look like and so seldom does. If you have a tendency to worry then this book really is highly recommended reading, and if you are in a position of pastoral oversight then this is also well worth looking at for the insights it can offer." "The End of Worry is the best book I have personally read on this subject. It is a compassionate book as well as being practical and well-researched, drawing on the best of Christian theology and psychological insight."